Pandora receives an unusual device, the Electro-Cute, from her mother. The Electro-Cute promises to "attract other towards you", but the unexpected happens when Pandora doesn't read the warning label. She's now attracting more attention than she ever thought possible. Electro-Cute is a part live action, part animated comedic short film that features the voice talents of Bill Rogers and Michele Knotz. LOCATION: The Community Center, 3rd and Monroe St. in Media, PA.
"Electro-Cute! is hands-down a truly engaging short film, and one of the most entertaining films to be shown at 2014’s FANtastic Horror Film Festival. The animation was spot-on and perfectly integrated into the live action"
"It’s clear the visual team of Taryn Hough and Cherrie Hamilton have a bright future ahead!" "What made the scenes so compelling, though, was Pandora’s calm acceptance of her new world. Taryn Hough, who received a Festival nomination for Best Actress in a Short Film, conquered her green-screen world with a blasé, nonchalant air, and an attitude of, “Okay, what’s next?” No mere electrical-device-induced alternate universe was going to get our girl down!" "Combining animation, live action...Electro - Cute! (is) enjoyed with a smile." "From a technical standpoint, the film is well made and staging is simple but effective." "In short, Electro Cute! 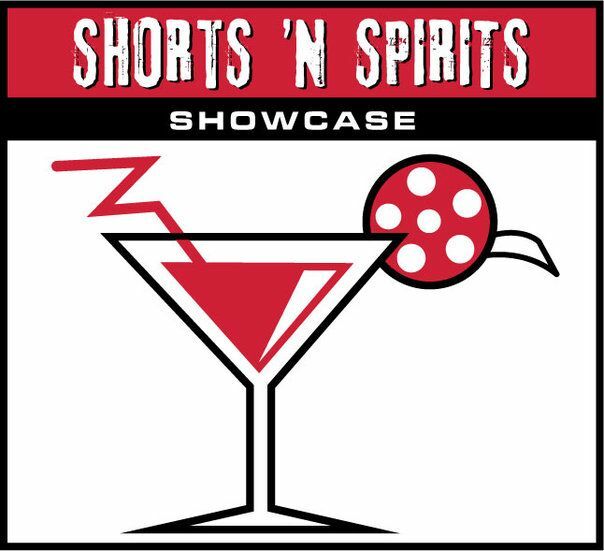 is a crazy and fun short film that pleasantly surprises with its original and casual treatment." 5.31.13 WOW! We just got back from Miscon a few days ago and we had a wonderful time! Electro-Cute! was very well received and screened 3 times at the festival. We received a ton of laughter during each screening and really couldn't have asked for a better response. We were very humbled and grateful to find out that EC! won 3 awards at the festival too: Best Fantasy Short Film, Audience Favorite and Best Overall Short Film. We're so excited for future trips to Miscon! Check out pictures from the Q&A panel below. BONUS! Check out this very cool comic about Miscon made by LarsenGeekery. 5.23.13 Don't forget, Electro-Cute! has 2 screenings coming up. One is in Missoula, MT this weekend at Miscon, and the other other is at the Macabre Faire Film Festival in NY. 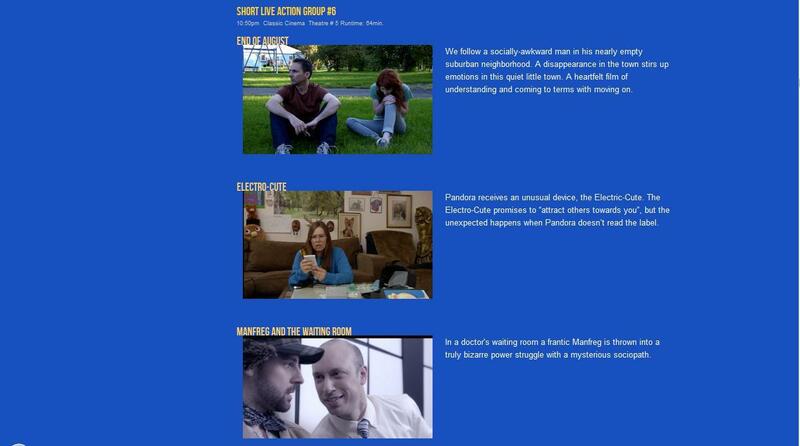 The short is screening twice at each festival, so you have multiple chances to see the film. 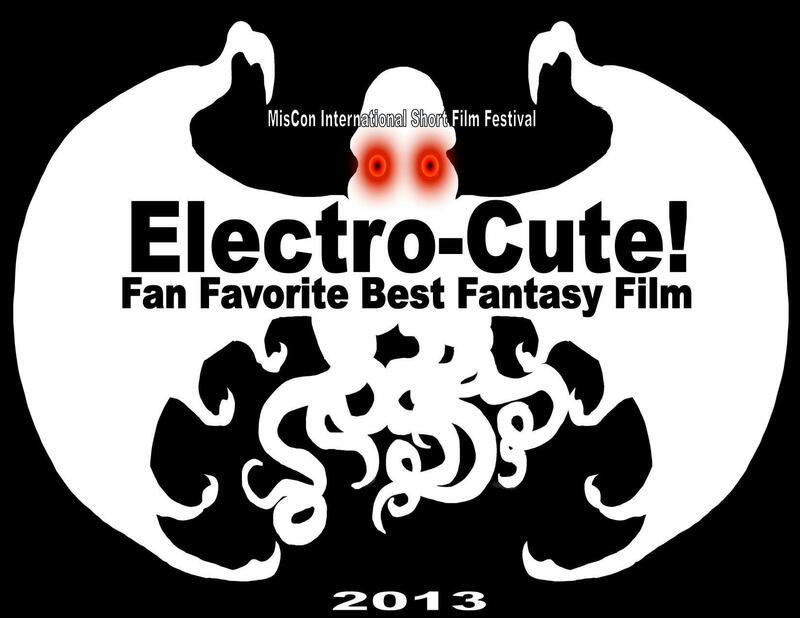 4.12.13 We had a great time at the Media Film Festival and are delighted to say that Electro-Cute! won Runner Up Audience Favorite for Saturday night. I met a lot of amazing people and look forward to attending the festival again in the future. Below are some additional pictures taken at the festival. 11.4.12 I am very happy to say that Electro-Cute! was accepted to the Riverside Saginaw Film Festival. The festival takes place Nov. 8th-11th in Saginaw, MI. Electro-Cute! screens on Saturday Nov.10th at 3pm (in short block 2) at the Saginaw Club. This looks like a realy fun festival and we're disappointed that we can't make it. 10.13.12 What's that? You feel like watching Electro-Cute! at a festival next weekend? I think I may be able to help with that. EC! is playing at 2 festivals next weekend, the Fargo Fantastic Film Festival and the Terror Film Festival, both screenings take place on Saturday October 20th. If you're in the Minnesota area, make sure to check out Fargo Fantastic for the 11am screening and if you're in the Philadelphia area, stop by Terror for the 3pm showing. 9.10.12 I am thrilled to announce that Electro-Cute! was accepted to the Terror Film Festival! I always have an awesome time at this festival and the people who run it are super nice, I hope to see you all there. The festival takes place in Philadelphia and EC! screens on Saturday, October 20th, at 3pm. Make sure to check out the festival list above to learn more. 8.9.12 I am so excited and happy to say that EC! was nominated for 2 awards at the Action on Film Festival. We were nominated for Best Animation and Best Experimental Project. How cool is that!? We hope to see you all at the screening on August 23rd! 8.5.12 I am very happy to announce that EC! was accepted to The Jersey Gore Film Festival. 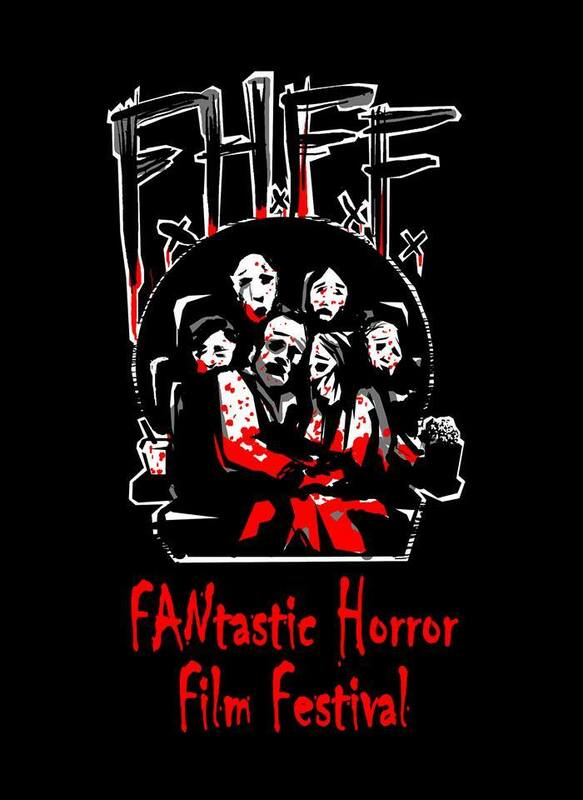 The festival takes place at the Darress Theatre in New Jersey and screens movies that fall into the Horror or Sci Fi genre. The festival takes place on Saturday, Nov. 3rd, more info coming soon! "This is a silly film by design, and it does something I wish more indie films did.It incorporates fun animations into the film itself.....The animations themselves are really cute and give a certain specific character to the film that makes's it fun. The film is a short and very bizarre"
"All in all, this movie was very clever and fun, and not only the real acting, but the voice acting on the animations was really entertaining. Fun is the key word here, because that's exactly what it is, and it's the best reason to make it a point to see it"
"(Electro-Cute is) an 11-minute short film that commands your attention and that you're constantly paying attention or you're really going to miss something." "Electro-Cute benefits greatly from the presence of Hough in the lead role, whose normalcy and befuddlement are a delight to watch unfold as the world around her becomes increasingly chaotic and weird"
"The original music by Phillip McCollum is spirited in an almost vaudevillian kind of way, while D.P. Cherrie Hamilton's camera work is energetic and inspired"
8.15.11 You know what's fun? Wardrobe tests! 11.05.10 Pre production of "Electro-Cute!" has officially started! Our latest short film will mix animation and live action to create the perfect comedy/fantasy short film,- mua ha ha ha ha!!!! We're aiming for a summer of 2011 release. Stay tuned for updates!